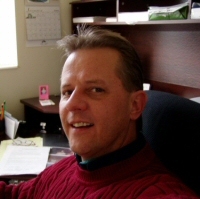 Michael S. Wallin is the owner and Senior Web Developer for Wallin Web Solutions. A Utah native, Mike understands the business climate and culture of Utah and the Intermountain West. Mike has spent more than 20 years developing business processes and the solutions that support them. His experience with Fortune 500 technology companies - both in leading the development of technical projects and coding them - gives him a unique perspective not usually found in typical programmers. As a Certified CIW Professional, Mike is highly skilled in modern Web development practices, but is also a constant student of his craft. He continuously pursues new technologies and examines better techniques for existing technologies. This notwithstanding, he also understands that newer does not always mean better and will not recommend a solution that has not first been proven in the real world.